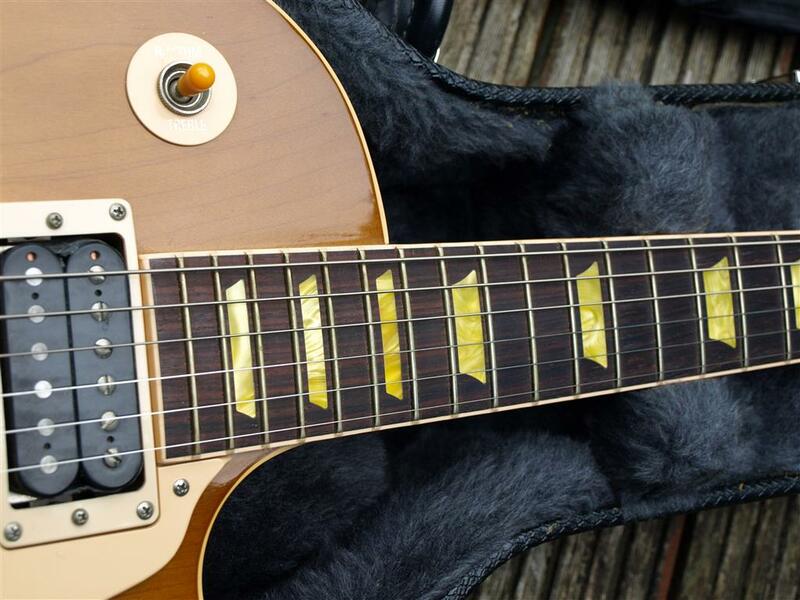 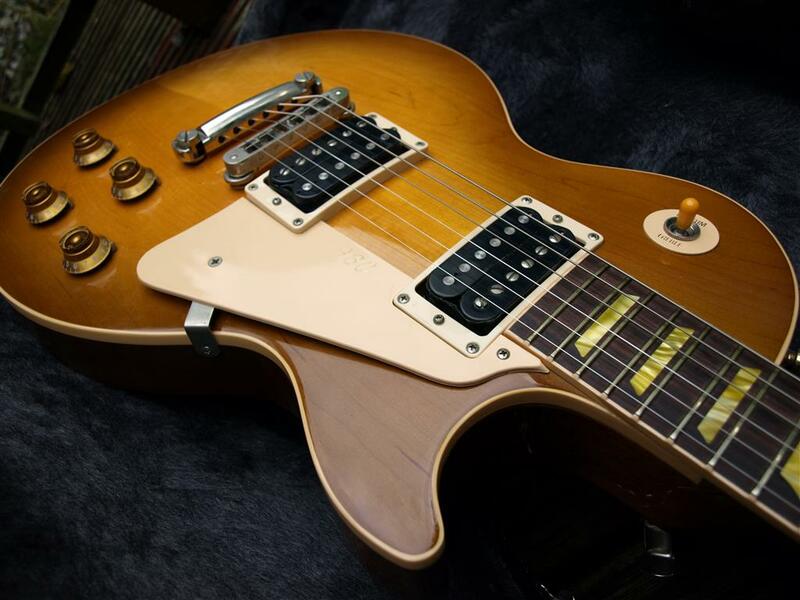 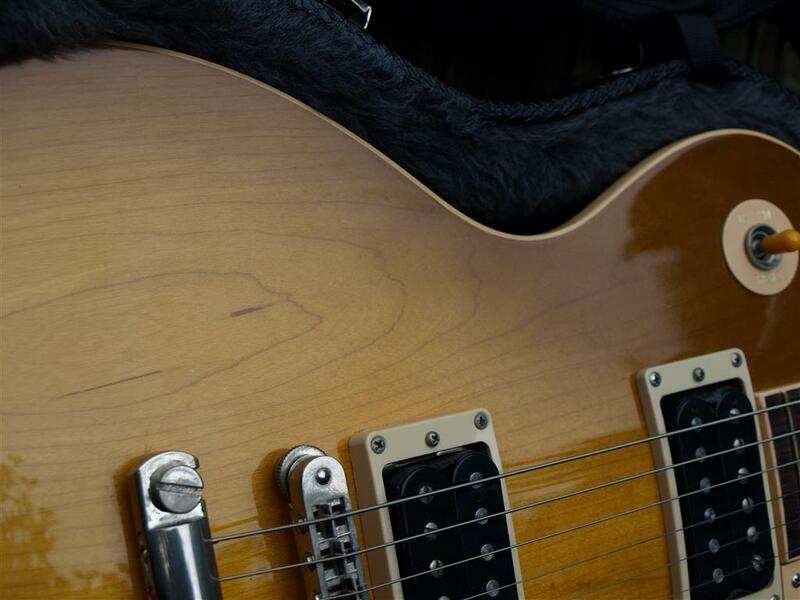 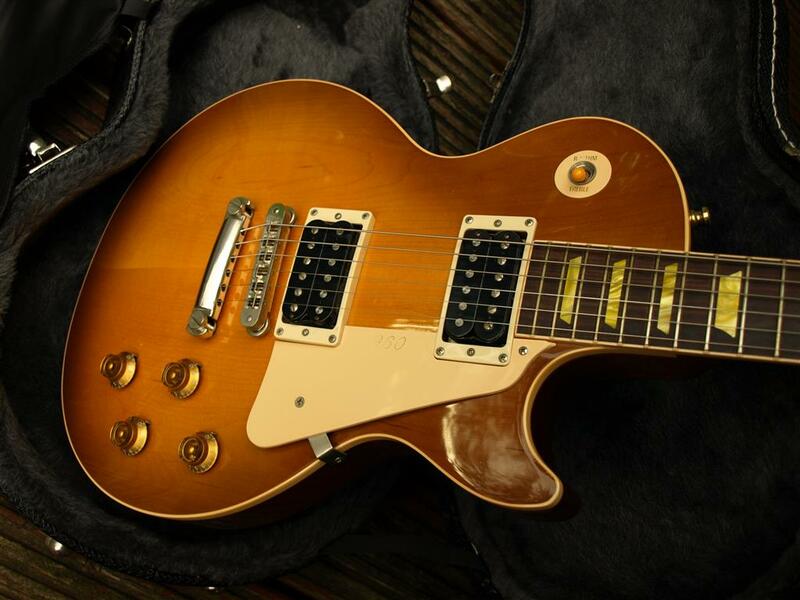 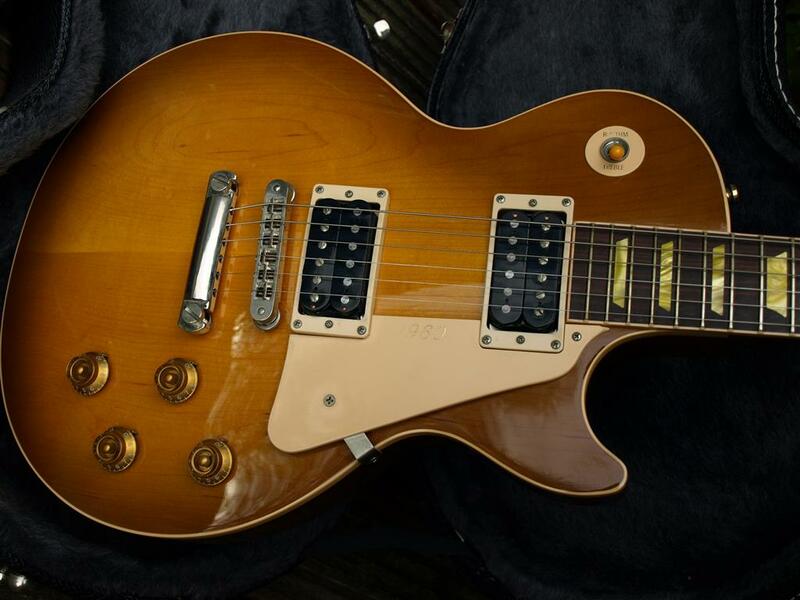 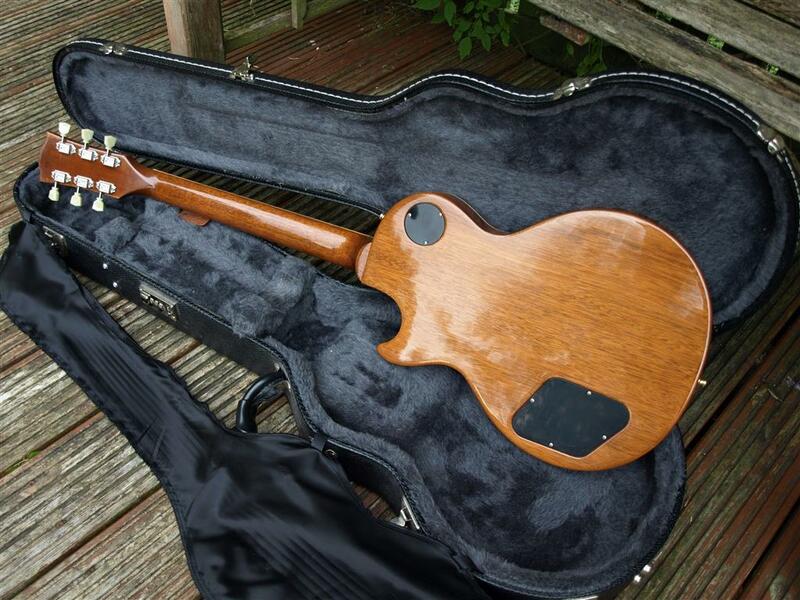 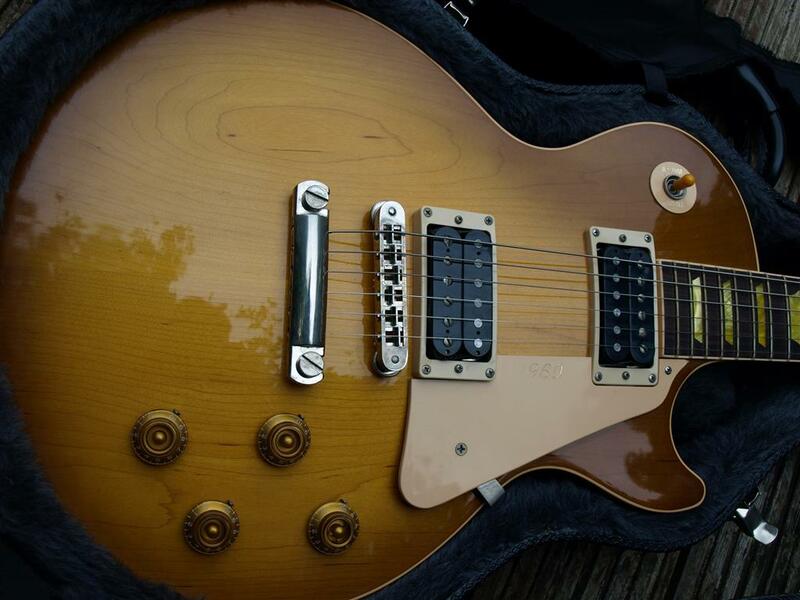 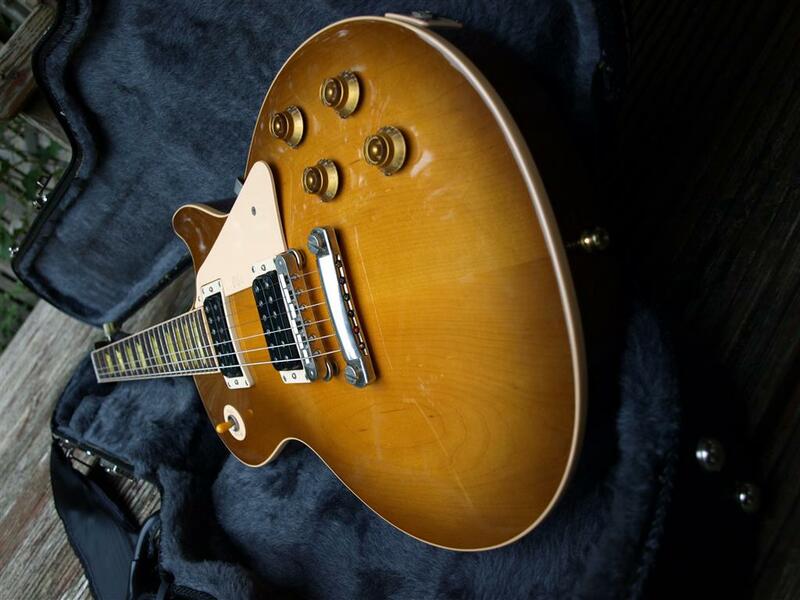 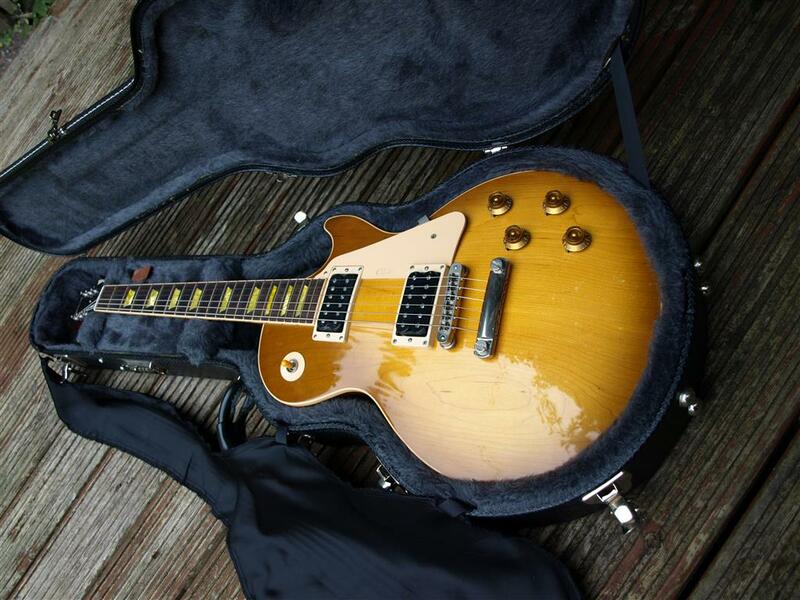 Beautiful honey burst Les Paul Classic, great condition for the age. 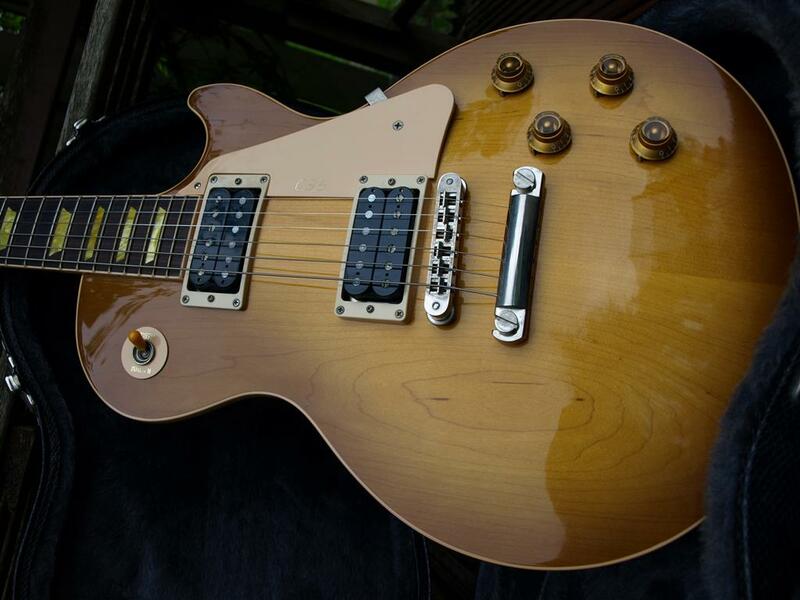 Very nice figuring on the plain top, in the stereotypical placing you would expect from Gibson. 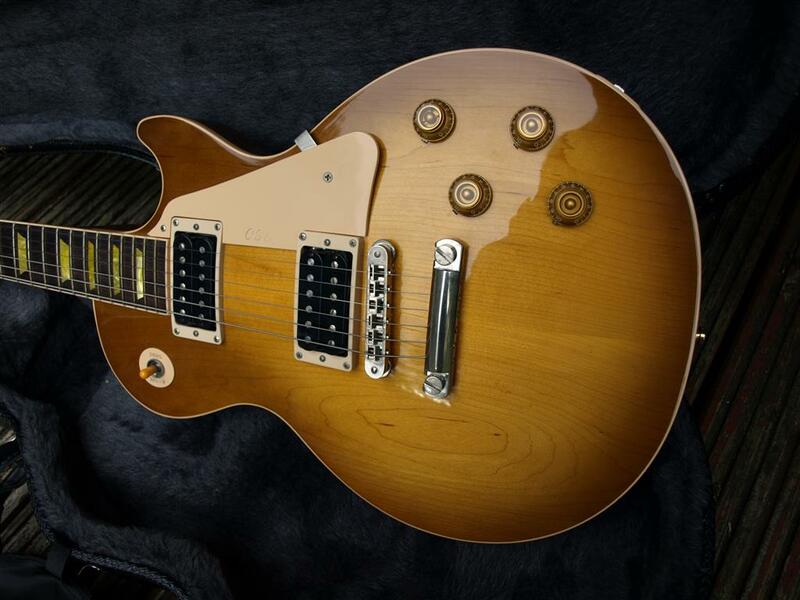 To be honest the early Classics are really unsung Heroes of the day and are simply terrific guitars, with a bit more character and quite a different sound than a Les Paul Standard. 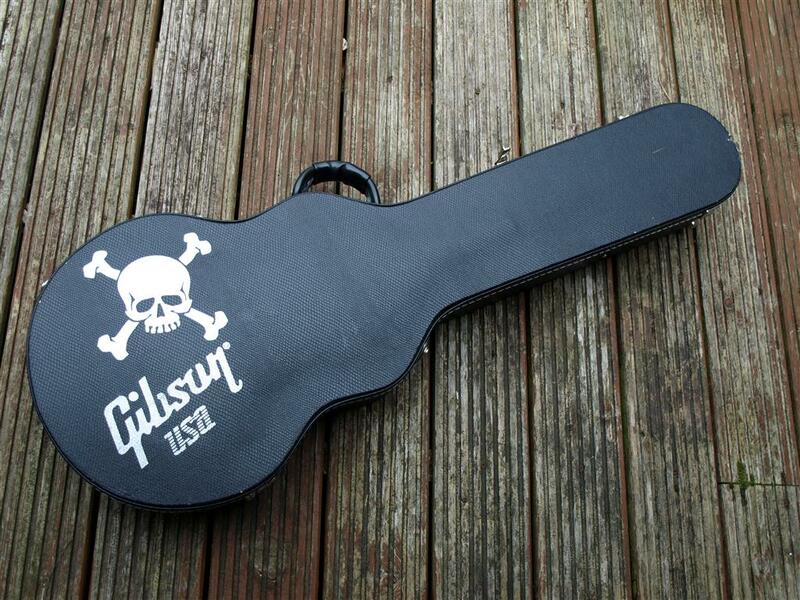 Unfortunately they hit into the Standard sales so sadly they were discontinued. 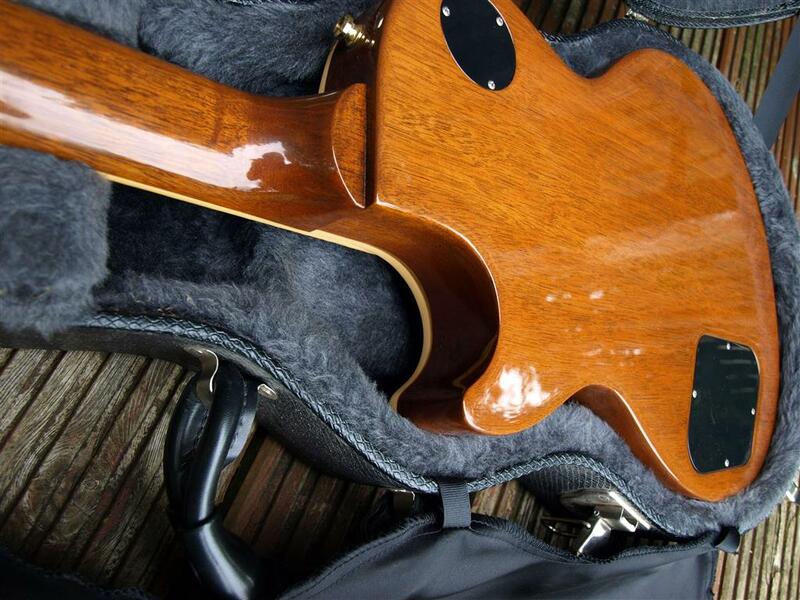 Great condition apart from some unfortunate minor marking on the back. 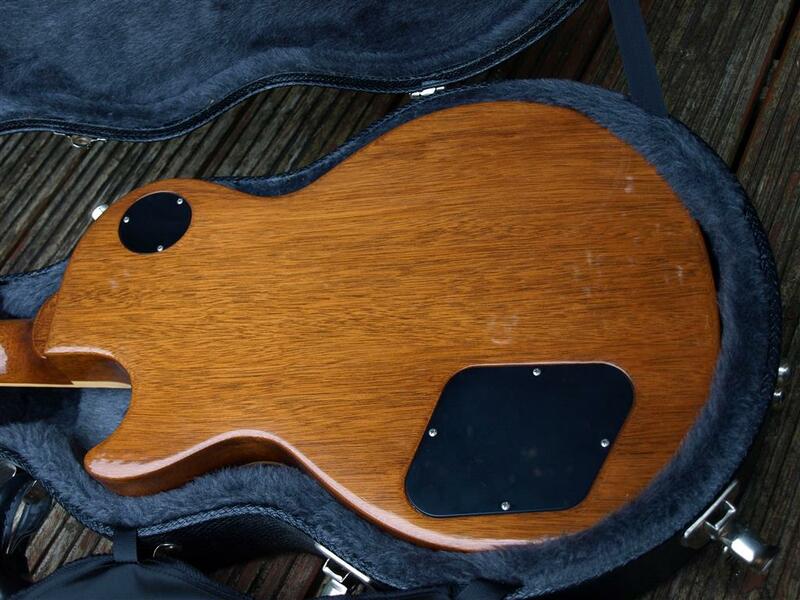 Some light buckle rash but unusually some marks from someone using the back of the guitar to writing on. 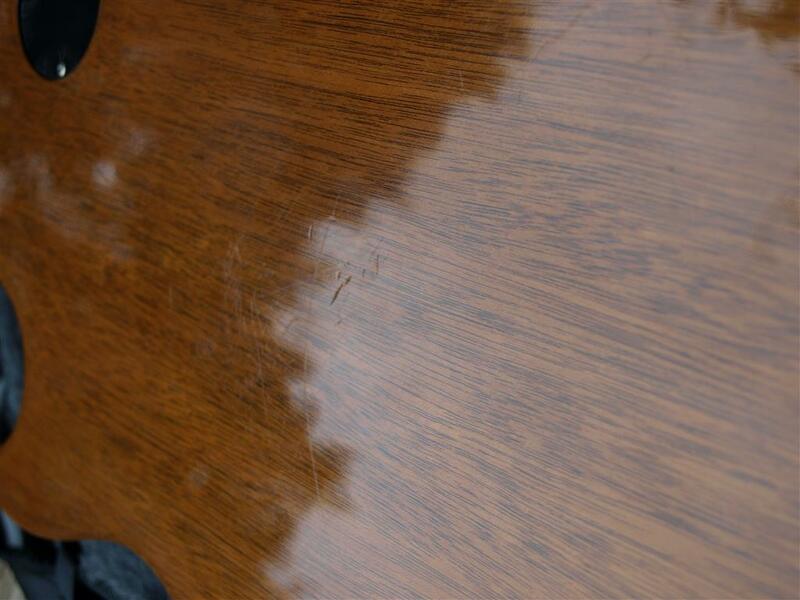 Some of the writing marks indented the wood. 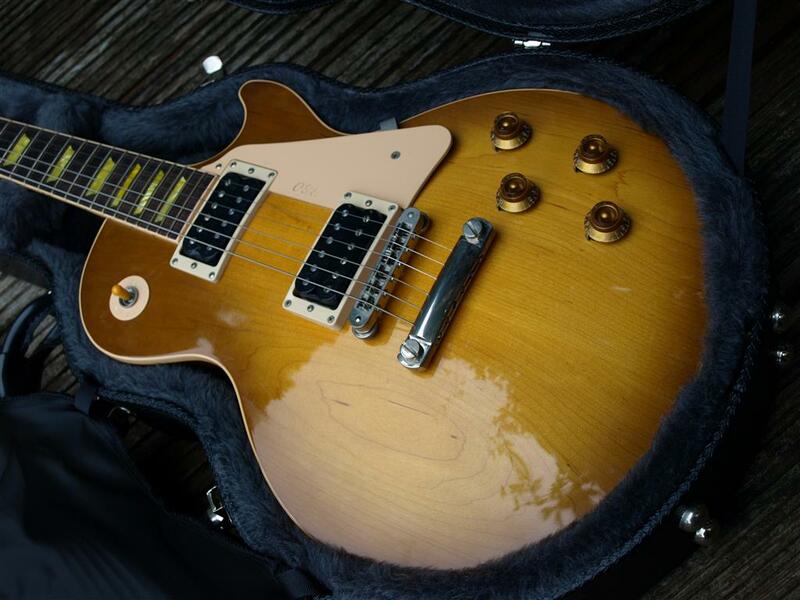 A fans number perhaps, who knows, but unfortunately owned by a proper Donkey at one time or another. 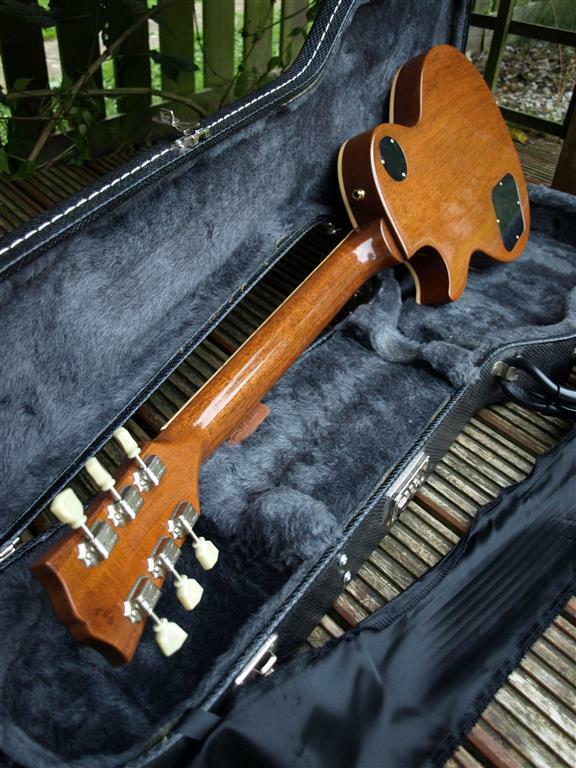 Thankfully we’ve managed to rescue her from folks who just don’t deserve to have her. 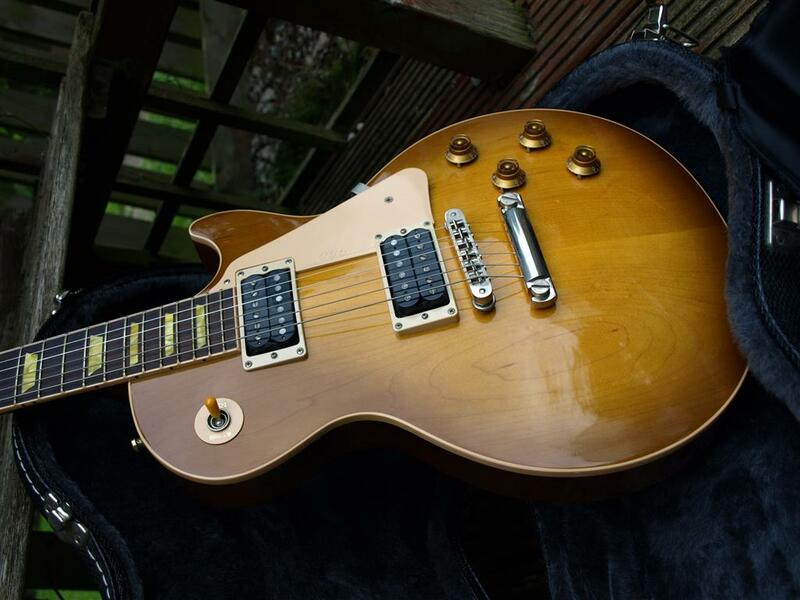 You’ve got to wonder what go’s through some folks heads at times, to be honest they probably just shouldn’t have been aloud outside on their own. 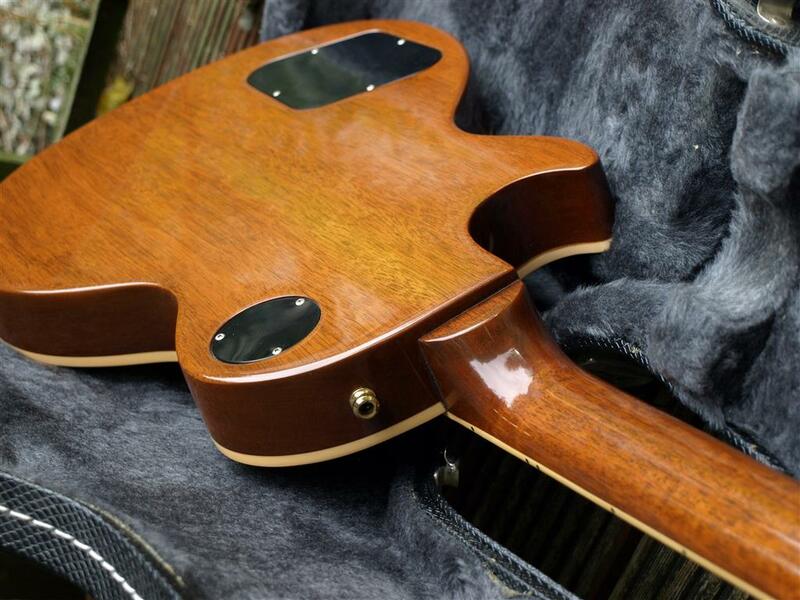 Thankfully the minor marks on the back don’t detract from the fantastic condition and look of this great top and neck. 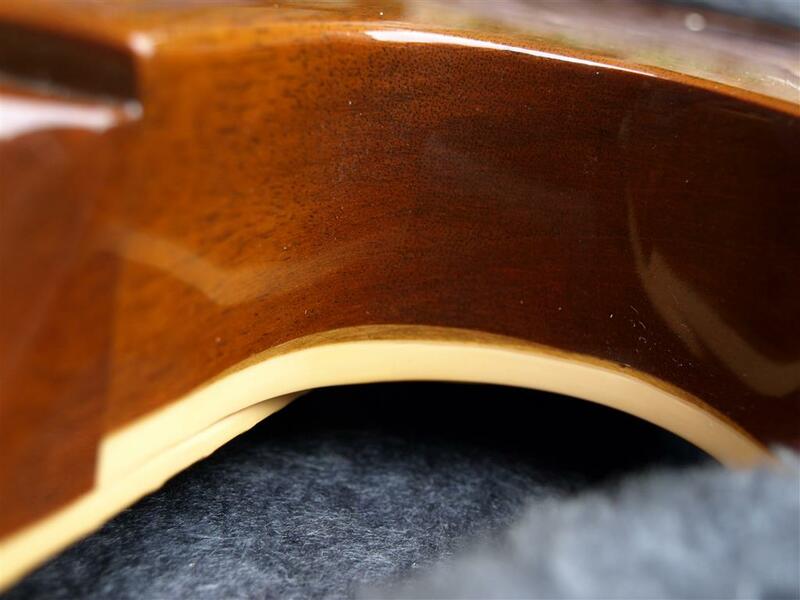 This example is over 10y old and with very little play ware. 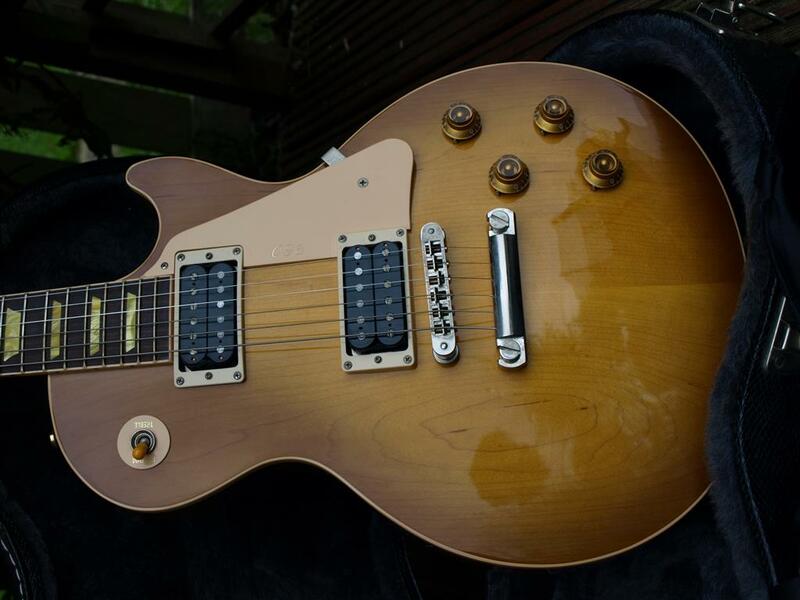 2005 Classics came fitted as standard with the very underestimated 496R and a 500T pickups (which are the hottest pickups Gibson makes) they both have a ceramic magnet so have quite a different character. 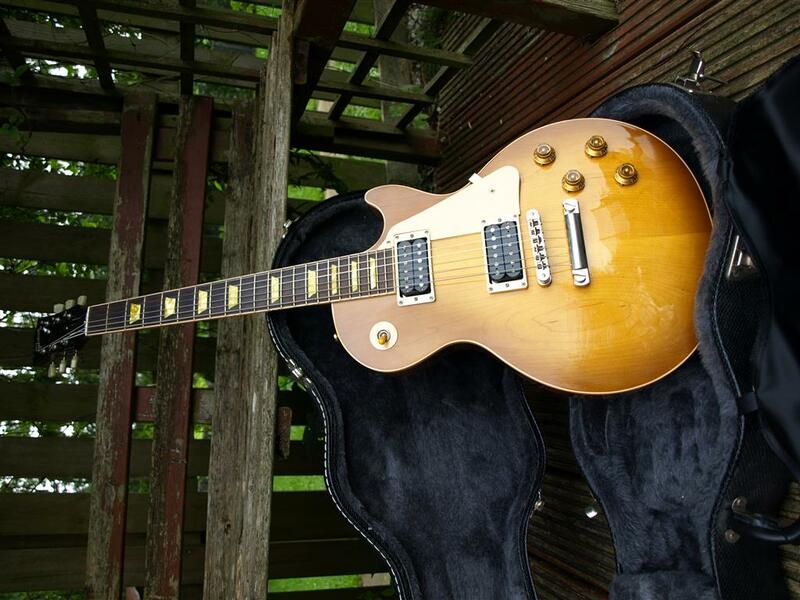 Overall very good condition, great sounding and playing Les Paul. 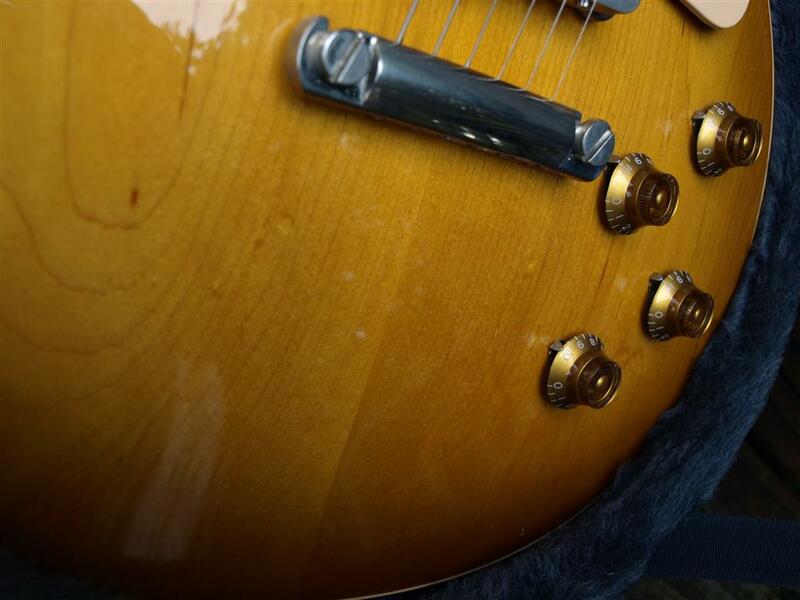 In one of the best finishes.